David Goldblatt was born in 1930 in Randfontein, South Africa. He has photographed the structures, people and landscapes of his country since 1948. In 1989, Goldblatt founded the Market Photography Workshop in Johannesburg. In 1998 he was the first South African to be given a solo exhibition at the Museum of Modern Art in New York. In 2001, a retrospective of his work, David Goldblatt Fifty-One Years began a tour of galleries and museums. He was one of the few South African artists to exhibit at Documenta 11 (2002) and Documenta 12 (2007) in Kassel, Germany. He has held solo exhibitions at the Jewish Museum and the New Museum, both in New York. His work was included in the exhibition ILLUMInations at the 54th Venice Biennale in 2011, and has featured on shows at the San Francisco Museum of Modern Art and Barbican Centre in London and in 2018, a major retrospective at the Centre Pompidou in Paris. Goldblatt is the recipient of the 2006 Hasselblad award, the 2009 Henri Cartier-Bresson Award, the 2013 ICP Infinity Award and in 2016, he was awarded the Commandeur des Arts et des Lettres by the Ministry of Culture of France. He shot mostly in black-and-white for much of his career. In 1998 the Museum of Modern Art in New York gave him a solo exhibition. Its 40 photographs were all black-and-white because, he explained, "color seemed too sweet a medium to express the anger, disgust and fear that apartheid inspired." But in the 1990s Mr. Goldblatt began working in color, adapting to the digital age. "I’ve found the venture into color quite exciting," he said in 2011, "largely because new technology has enabled me to work with color on the computer as I have done with black and white in the darkroom." David Goldblatt was South African photographer known for his uncompromising images of his country during apartheid and afterward. “I was very interested in the events that were taking place in the country as a citizen but, as a photographer, I’m not particularly interested, and I wasn’t then, in photographing the moment that something happens. I’m interested in the conditions that give rise to events,” he once explained. Born on November 29, 1930 in Randfontein, South Africa, he began photographing at an early age but his father’s illness required Goldblatt to run his family business while studying at Witwatersrand University in Johannesburg. After selling the company in 1963, Goldblatt focused entirely on a career in photography. His involvement with various artistic circles in Johannesburg granted him access to a broad range of ethnic and socioeconomic groups. Though he refused to belong to any political organization and argued that his photographs should not be used for propaganda purposes, his works were presented in an exhibition organized by an anti-apartheid photographer’s collective in 1990. In 1998, Goldblatt became the first South African artist to have a solo exhibition at The Museum of Modern Art in New York. The artist died on June 25, 2018 in Johannesburg, South Africa. Today, his photographs are held in the collections of the South African National Gallery in Cape Town, the Victoria and Albert Museum in London, and the Fotomuseum Winterthur in Switzerland, among others. Following a series of portraits of his compatriots made at the beginning of the 1970s, photographer David Goldblatt, for a very short and intense period of time, naturally turned to focusing on peoples' particulars and individual body languages "as affirmations or embodiments of their selves." Goldblatt's affinity was no accident: Working at his father's men's outfitting store in the 1950s, his awareness of posture, gesture and proportion-technical as it was-formed early and would accompany him throughout his life. In this series we see hands resting on laps, crossed legs, the curved backs of sleepers on a lawn at midday, their fingers and feet relaxed, pausing from their usual occupations. This deeply contemplative work is framed by Ingrid de Kok's poetry. The photographs in Particulars were taken beginning in 1975, and the first edition of the book was published by Goodman Gallery, Johannesburg, in 2003. 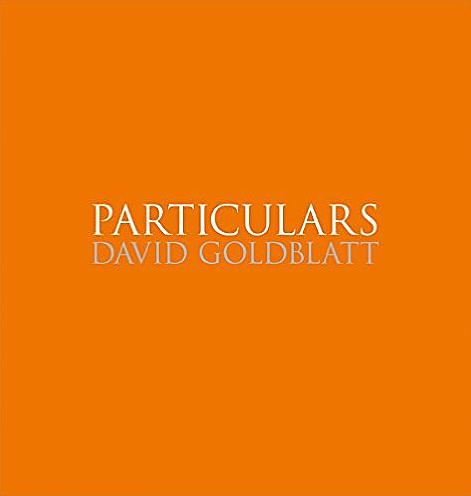 Goldblatt has revised Particulars for this new Steidl edition. Between 1999 and 2011, David Goldblatt did work that he had not previously attempted: personal photography in color. While he had used color extensively in professional work since 1964, he had done almost no personal photography in this medium. But with the new political dispensation as well as technical advances through digital reproduction from film he felt the time was right for him to photograph in color. At first, Goldblatt photographed in his immediate area, Johannesburg. He then decided to look at South Africa by taking photographs within no more than a radius of 500 meters of each of the 122 points of intersection of a whole degree of latitude and a whole degree of longitude within its borders. However, after going to a number of intersections where there was nothing at all that stirred him to photograph, he realized that he was in danger of becoming slave to a formula. After abandoning the initial project he retained the idea of intersections. From time to time, over a period of nine years, he travelled the country in search of intersections-intersections of ideas, values, histories, conflicts, congruencies, fears, joys and aspirations-and the land in which and often because of which these happened. This book brings together a selection of Goldblatt's color photography in South Africa from 2002 to 2011. An earlier version, Intersections, was published by Prestel in 2005, and the catalogue Intersections Intersected, consisting of paired black-and-white and color photographs, was published by Serralves Museum, Porto, in 2008. 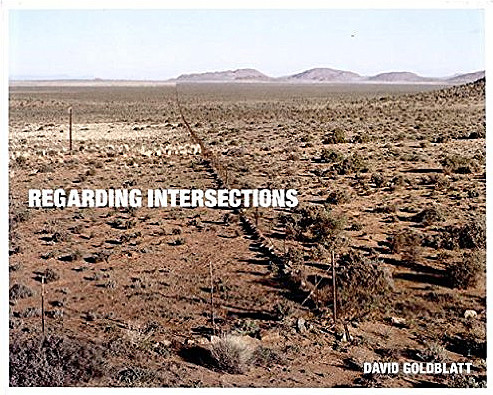 On the Mines is a re-designed and expanded version of David Goldblatt's influential book of 1973. Goldblatt grew up in the South African town of Randfontein, which was shaped by the social culture and financial success of the gold mines surrounding it. When these mines started to fail in the mid-sixties Goldblatt began taking photos of them, which form the basis of On the Mines. 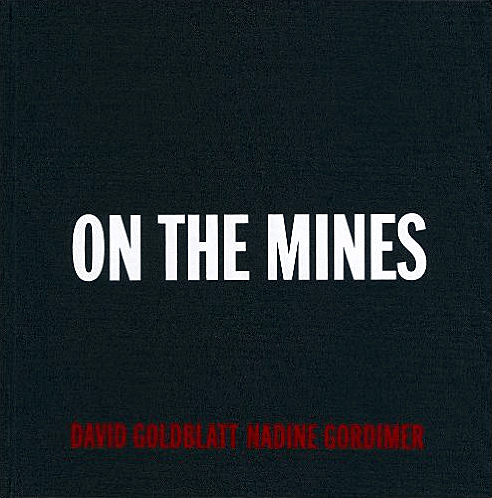 The book features an essay on the human and political dimensions of mining in South Africa by Nobel laureate Nadine Gordimer, whose writing has long influenced Goldblatt. The new version of the book maintains the original three chapters "The Witwatersrand: a Time and Tailings", "Shaftsinking" and "Mining Men", but is otherwise completely updated, in Goldblatt's words, "to expand the view but not to alter the sense of things". There are thirty-one new mostly unpublished photos including colour images, eleven deleted images, a postscript by Gordimer to her essay, as well as a text by Goldblatt reflecting on his childhood and the 1973 book. On the Mines is the first of many titles in an ambitious collaboration between the photographer and Steidl that will publish Goldblatt's life work in a series of re-prints and new books. Higgins, an American photographer, has used his camera to examine the life and culture of people of African descent — seeking reflections of himself in the world of humanity. After four decades as a staff photographer for The New York Times, he recently retired. All About Chester Higgins Jr.